The barracuda is a fish with a lean, torpedo-shaped body and razor sharp teeth. They normally attack in self-defense or when they feel threatened. Barracudas are also curious creatures and may follow divers for long distances. What are the Causes of Barracuda Bite? Interacting with them, such as while hunting them, swimming around them, exploring the ocean floors within their vicinity, etc. What are the Signs and Symptoms of Barracuda Bite? How is First Aid administered for Barracuda Bite? If a Barracuda Bite (or sting or bite of a marine creature) is suspected, it is always important to call your local emergency helpline number (or 911 in the US) without any delay, and provide as much information as possible, even if the individual does not have any symptoms. Who should administer First Aid for Barracuda Bite? What is the Prognosis of Barracuda Bite? 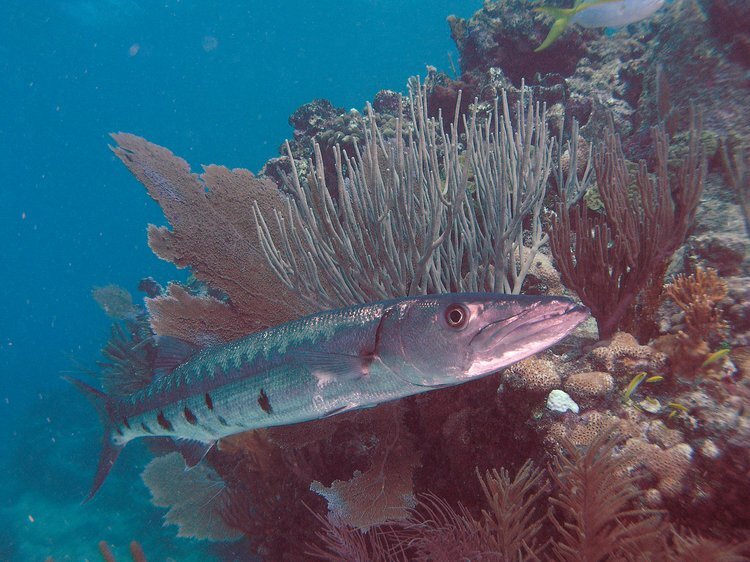 The prognosis of Barracuda Bite is dependent on the severity of the bite. The prognosis is generally good with proper treatment. How can Barracuda Bite be Prevented? Souviron, R. R. (2005). Animal bites. Bitemark evidence, 275-291. Grubich, J. R., Rice, A. N., & Westneat, M. W. (2008). Functional morphology of bite mechanics in the great barracuda (Sphyraena barracuda). Zoology, 111(1), 16-29. Whitenack, L. B., Sherry, R. S., & Habegger, M. L. (2015, April). Bite force calculations of two long-faced fishes, the northern pike Esox lucius and great barracuda Sphyraena barracuda, through ontogeny. In INTEGRATIVE AND COMPARATIVE BIOLOGY (Vol. 55, pp. E198-E198). JOURNALS DEPT, 2001 EVANS RD, CARY, NC 27513 USA: OXFORD UNIV PRESS INC.
Grubich, J. R., Rice, A. N., & Westneat, M. W. (2005, December). Functional morphology of bite mechanics in the great barracuda, Sphyraena barracuda (Walbaum 1792). In INTEGRATIVE AND COMPARATIVE BIOLOGY (Vol. 45, No. 6, pp. 1141-1141). JOURNALS DEPT, 2001 EVANS RD, CARY, NC 27513 USA: OXFORD UNIV PRESS INC.
Habegger, M. L. (2009). Bite force in two top predators, the great barracuda, Sphyraena barracuda and bull shark, Carcharhinus leucas, during ontogeny. Thomas, N., & Brook, I. (2011). Animal bite-associated infections: microbiology and treatment. Expert review of anti-infective therapy, 9(2), 215-226. Amanda Christine, O. T. (2010). The physiological ecology and behaviour of an apex marine predatory fish, the great barracuda (Sphyraena barracuda) (Doctoral dissertation, Carleton University). Tsiolkas, C. (2014). Barracuda. Atlantic Books Ltd.